Angie Widman and Jeff Levings, children of Darrell and Rosemary Levings invite you to an open house reception of their 50th Golden Wedding Anniversary. The event will be Saturday, June 27, 2015, at the Edison United Methodist Church at 335 Boundary Street, Edison, Ohio, from 2:00-4:00 PM. 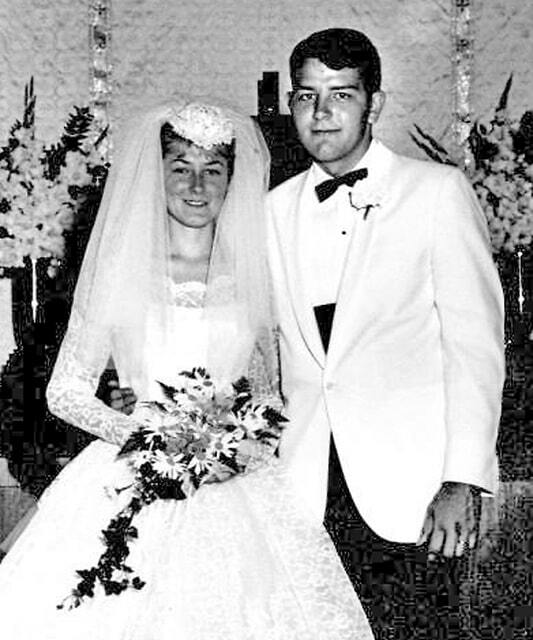 Darrell and Rosemary were married on July 3, 1965 in the Cardington United Methodist Church by the Rev. Donald Yaussy. They have lived in Mt. Gilead throughout their 50 years. Darrell is a Structural Engineer and worked at Fairfield Engineering for 38 years and has been with RD Stolz Engineering, LLC for 11 years. Rosemary worked for McDonald’s as a Community Relations Representative for six years, and Morrow County Chamber of Commerce and United Way of Morrow County as the Executive Director for 16 years. Rosemary retired in 2010 and Darrell will be retiring in December of this year. They are both active in their church and community and enjoy going to the Lakes and Cruising with friends. It is asked that gifts be omitted, only your presence is requested.